This luxury single handle kitchen faucet with pull out mono shower head will look amazing in any kitchen. The high end Italian faucet can accommodate any type of kitchen sink. 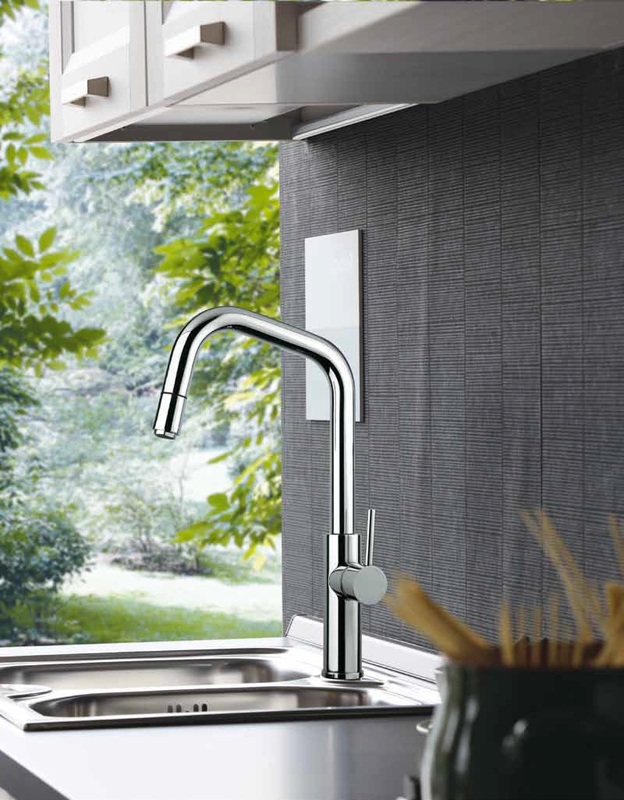 The contemporary faucet is easy to install, keep clean and maintain. Modern chrome faucet is also available in brushed chrome finish. The modern faucet is made of lead-free brass. Whether your decorating style is traditional or modern, Maestrobath products will compliment your home improvement project and add a lavish, luxurious feel while protecting your health, safety and the environment.